[prMac.com] Taipei, Taiwan - Packing Pro, the popular travel app for the iPhone, iPad & iPod touch by QuinnScape, wraps up another great year full of prominent recognition and endorsements. Just in 2014 alone, Packing Pro has been featured in the mainstream media by the New York Times, USA Today, CNN, Fox News and Forbes. It was also highlighted in both travel and online publications like Conde Nest Travel, Kiplinger, Mashable, TechHive and MSN Living. Last, but not least, Packing Pro was also promoted by Apple itself, both in its retail stores as an on-device demo app and its online App Stores in dozens of countries. Packing Pro is a universal app that is available for purchase worldwide on the iPhone & iPad App Store for $2.99 (USD), or the equivalent in local currency. The basic Packing (+TO DO!) app sells for $0.99. Since its founding in October 2008, QuinnScape has been managed by Quinn Genzel. 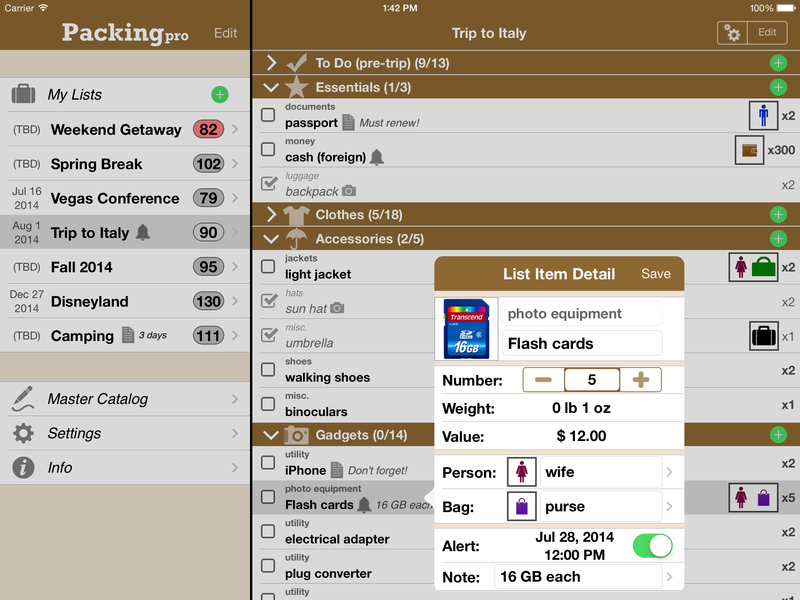 Quinn is best known for his popular, top-ranking travel packing apps: Packing (+TO DO!) and Packing Pro. Packing Pro has been recognized by Apple, CNN, WSJ, BBC, National Geographic, Budget Travel, Fodor's, CNET, Macworld and a host of others as one of their top apps for traveling. Other app created by Quinn include a grocery shopping list app (Shopping Pro), nature appreciation apps (iLove Nature and iLove Birds), 3D VR action games (R.I.P and Ghost Buddy) and high-quality puzzles (the aQ's Pro Slider Puzzle series). Copyright (C) 2008-2014 QuinnScape. All Rights Reserved. Apple, the Apple logo, iPhone, iPod and iPad are registered trademarks of Apple Inc. in the U.S. and/or other countries.